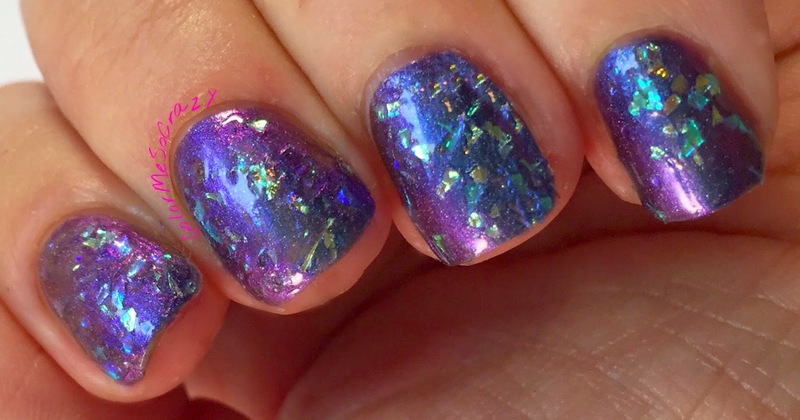 DIY Multichrome Flakies- Is it Possible? So, I tried to re-create the newest, hottest thing out there right now. 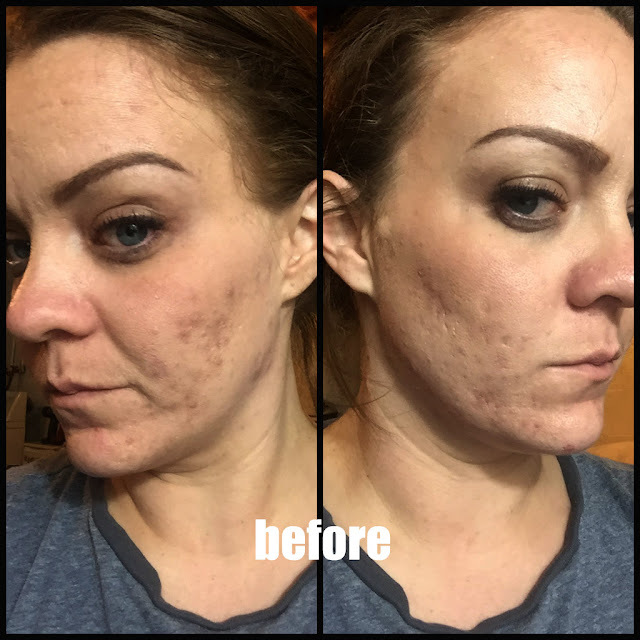 The color shifting flakies. 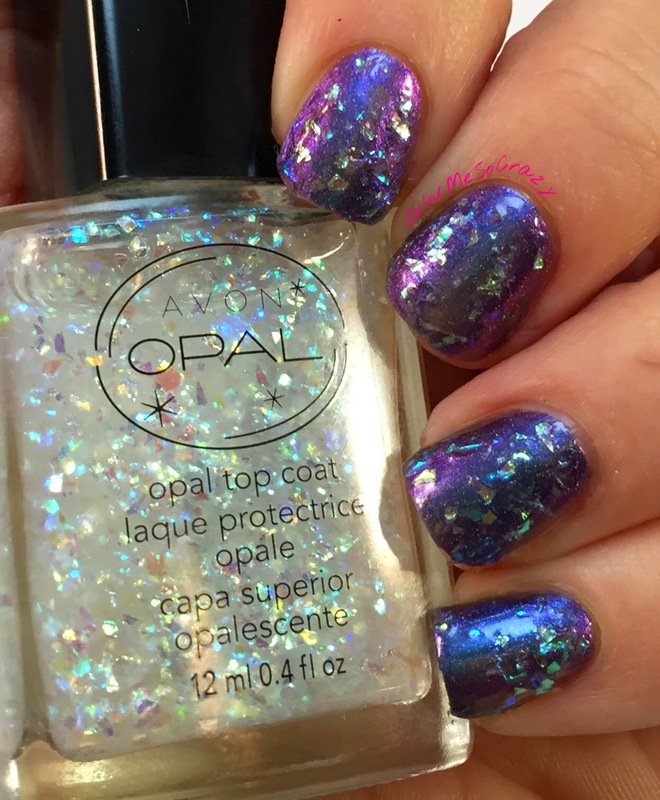 I thought that if I did opalescent, clear flakie on top of a multichrome base, it would have the same effect as a multicrhome flakie on top of a black base- WRONG! Well, I guess I need to go back to the drawing table. I do own a couple more flakies and I am insistent on winning this one. I have about two more ideas at this point to see if I can win at this recreation. Don't get me wrong, I desperately need the real thing just because I think it is super cool. I just need to decide which brand I need. 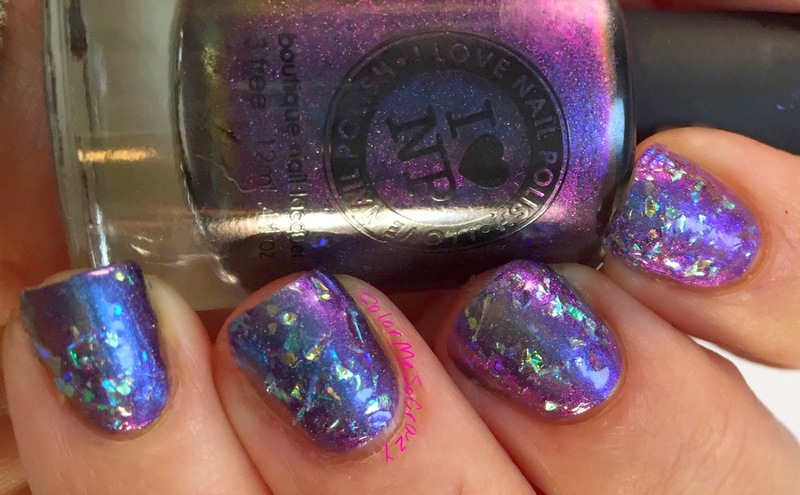 By this point, I have flakies from the first time they were cool, so I am on the search for something I don't have. 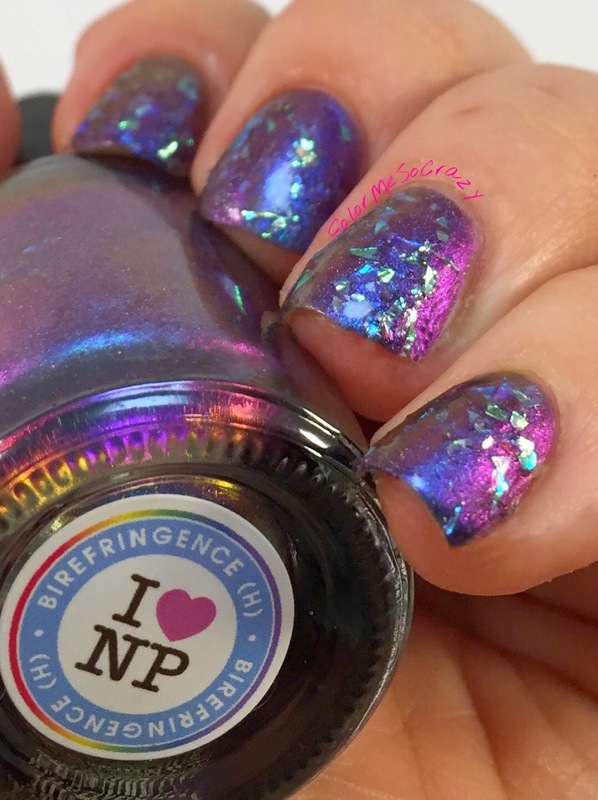 ILNP Multichrome Flakies are something I definitely need to have and this is what I am trying to recreate by a DIY procedure and failing. 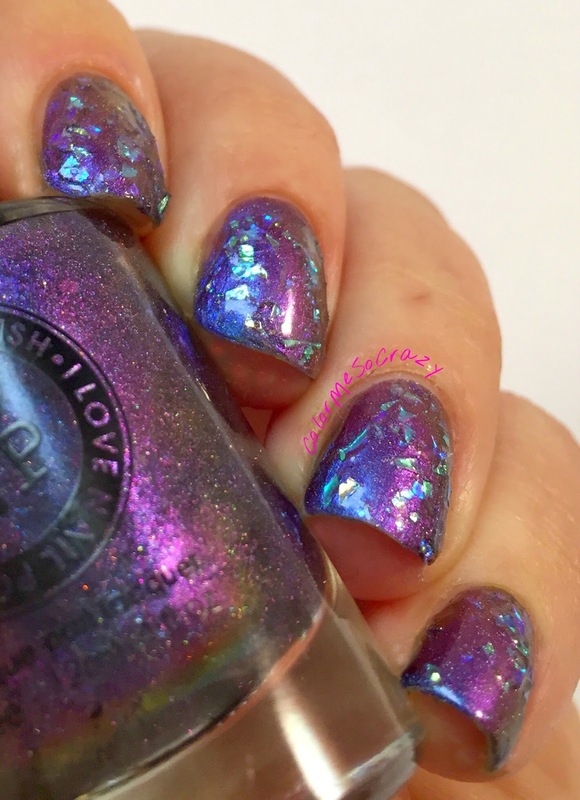 Are you into the multichrome flakies? Which ones do you want? Is there a brand that calls to you the most?